My sister recently asked me to build a couple of children’s desk for her step daughters. 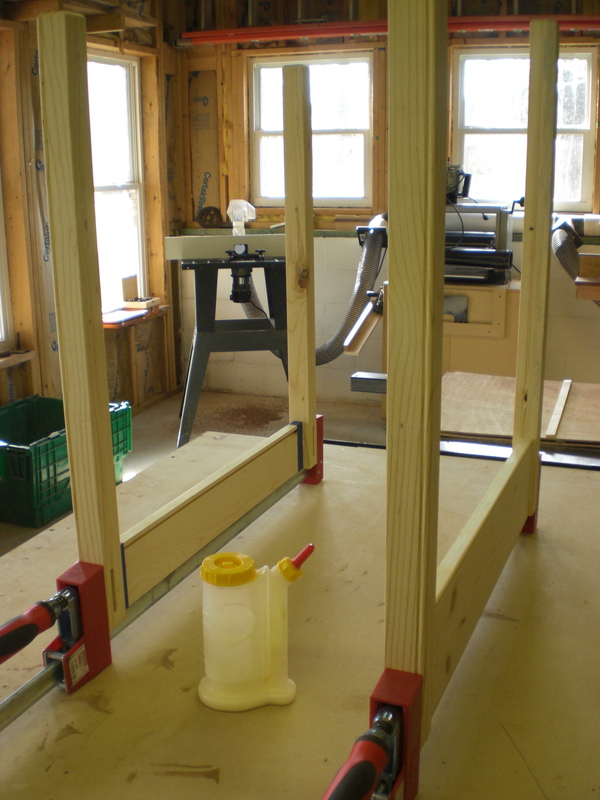 And by recently I talking in woodworking time, so about 3 months ago. Anyway, the goal was to build two matching desks that resembled the old flip top school house desks. The design is really simple and we just chose some knotty pine for the material to match some of their existing kid furniture. The pine was a little a little difficult to work with in the sense that it tended to want to move a bit and and definitely gummed up my table saw and chop saw blades, but on the positive side this stuff was like butter with hand tools so I took the opportunity to break out the hand planes and saws when ever a good opportunity arose. 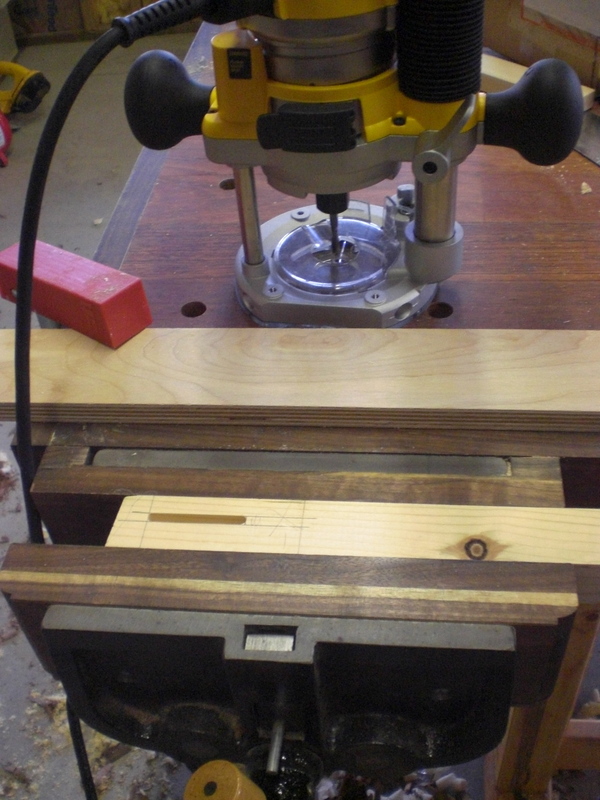 I started by routing some 1/4″ mortises into the legs a milled up from some laminated 3/4″ stock. I haven’t yet settled on my chosen method for routing mortise, so I just clamped guide board to the bench and put my leg stock in the vise. This seemed to work just fine. 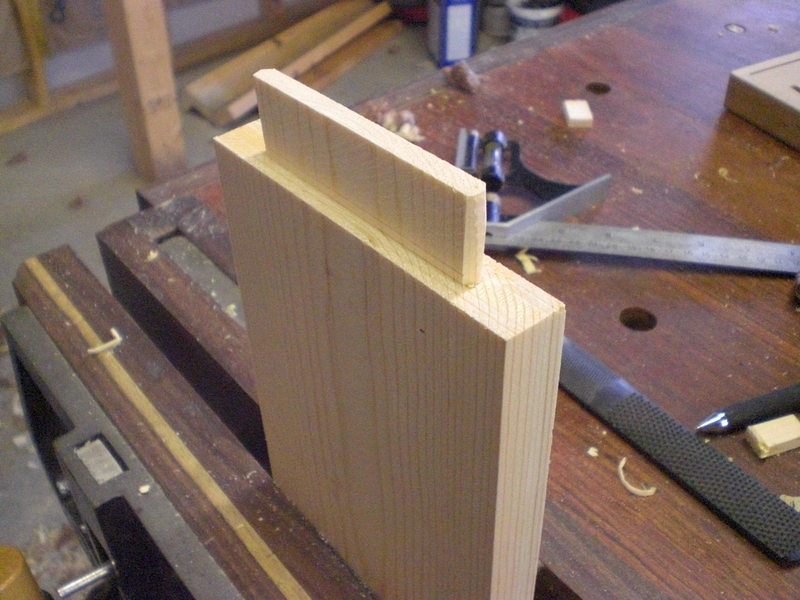 Next I cut the tennons on all the rails on the table saw with my homemade tennoning jig and then did some fine tuning at the bench with the chisels and rasp. Here are two of the leg sub-assemblies being glued up. 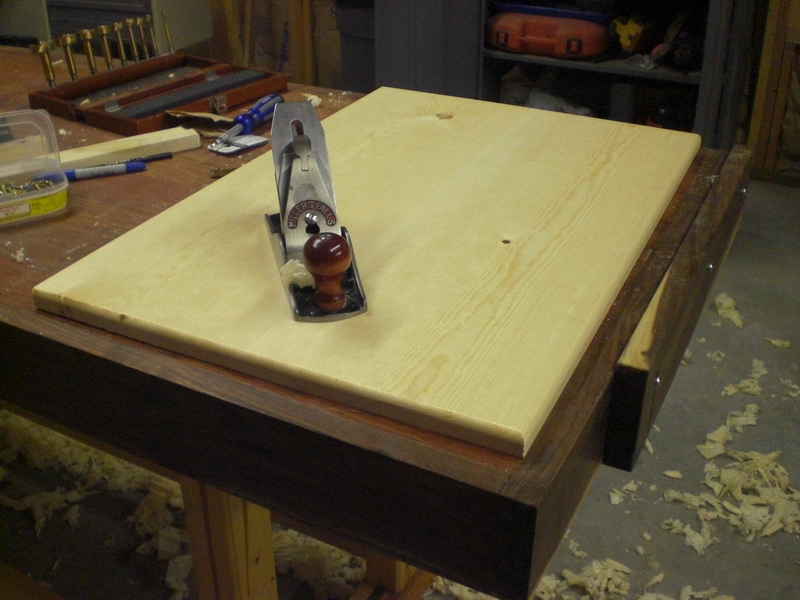 Both tops were flattened and smoothed by hand after glue up. I did have trouble with one of the two tops. One of the boards I got for the top was extremely cupped when I got it and didn’t notice, or it freaked out when I got it home in the shop. I tried to cut it apart and re-glue, to remove some of the cup which seemed to work, but I still had some twist. Eventually I just decided a new board was well worth the time spent. Here’s the final product. 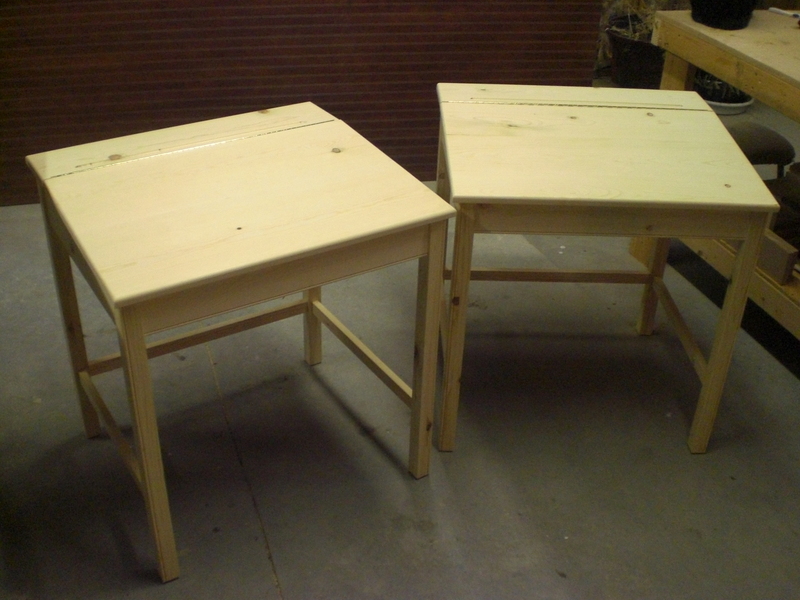 Two beautifully simple little desks that should provide years of good service and enjoyment for my new nieces. With a little luck, they should be around for years! ← New hand tool toys!